AddressThe address for this sale in Gulfport, MS 39501 will be available after 9:00am on Wednesday, June 5th, 2019. 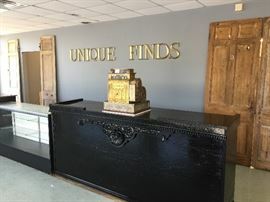 Come in and browse our ever changing selection of antiques, collectibles, furniture, collectibles, home decor, Coins, jewelry and Tools. With over 8000 Square Feet you are sure to find that Unique Find.